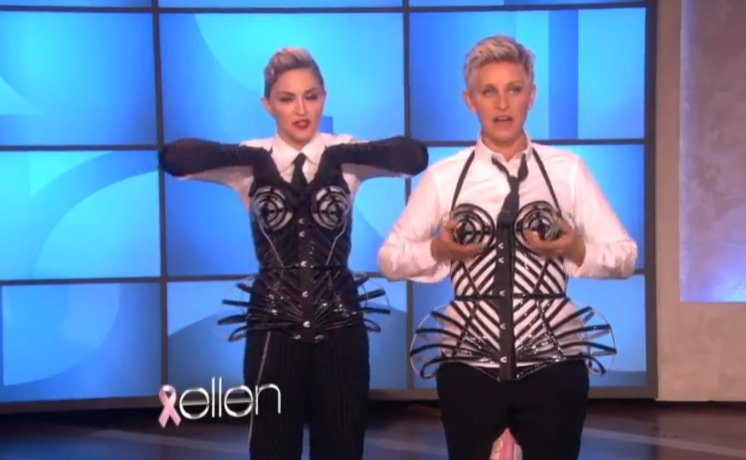 Madonna shows Ellen how to feel yourself up in a Gaultier bra. 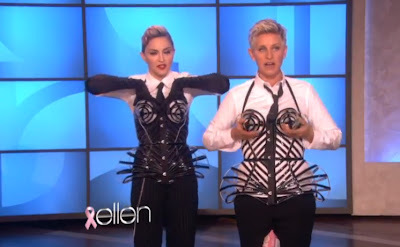 We also get to meet Madonna's adorable son Rocco. Watch the preview after the jump.